Consider the many benefits of an attractive, fire-resistant, and low-maintenance alternative to siding. Panzone & Company, Inc., of Jackson, Mississippi, has been in business for more than 25 years. Our staff keeps to a strict schedule when performing various plaster services or stucco repair. 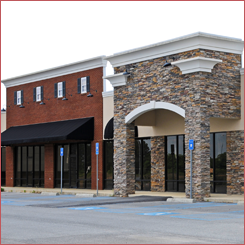 We also conduct EIFS inspections for an additional fee and provide you with a written report at the end. We have the skills and tools required to make any type of repairs on existing stucco systems and bring buildings up to proper code. All of our workmanship is backed by a one-year warranty, and repairs associated with an EIFS include a 5-year or 10-year manufacturer's warranty, depending on what type of system you are using. Our experienced contractors restore various types of buildings, such as courthouses and churches, back to their original states through enhancements to current plaster and interior work. We primarily create mold and plaster or stucco castings for installation of deteriorated elements that need replacing.